Over the years, we have helped many people overcome the limitations of locked cell phone with our service of cell phone unlocking in Toronto. If you too wish to relieve yourself of the restrain of cell phone lock, we are eager to help. What is a locked cell phone? 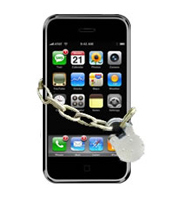 A locked cell phone is a device with limited network capabilities. It may be restricted in numerous ways: SIM lock, network lock and subsidy lock are the most common. Whatever the restriction may be; the main aim is to limit the phone's capability. This restriction is a business strategy used by network providers wherein they sell the mobile phones at a discount to the customers while binding them to a specific network. The lock can be removed with the help of an unlocking code which resides with the network providers. Other methods used in Unlocked Cell Phones in Toronto are software and hardware changes to the handset. The unlocking method used by us is fast and reliable and depends on the type of handset being unlocked. Apart from cell phone unlocking in Toronto, we specialize in Cell Phone Repairs in Toronto. You can call us for any assistance with your cell phone. 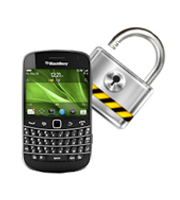 If your precious blackberry phone is locked, it would cease to operate once you go beyond the network coverage of the appropriate service provider. To overcome this limitation, you can utilize our valuable cell phone unlocking service. Give us the IMEI number of your blackberry, which can usually be found in the settings of your handset. Wait for some time while we perform the cumbersome task of retrieving your unlock code. Apply the code sent by us and behold your unlocked blackberry.